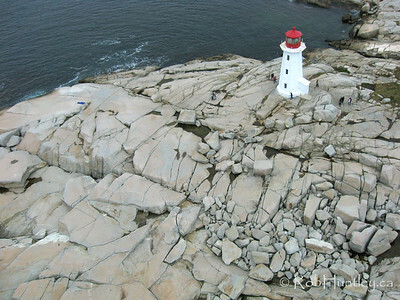 Images of Peggy's Cove, Nova Scotia, Canada. 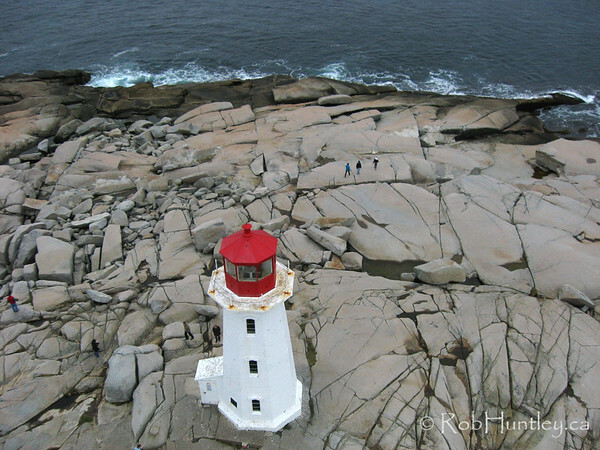 Peggy's Cove is a popular tourist destination, a short drive from Halifax, Nova Scotia. 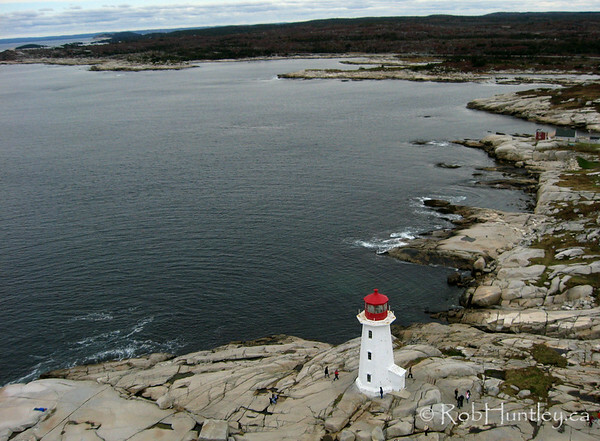 A frequently photographed community, it contains the iconic Peggy's Cove Lighthouse and the small harbour, fishing boats and boathouses that are photographed as much, if not more, than the lighthouse. 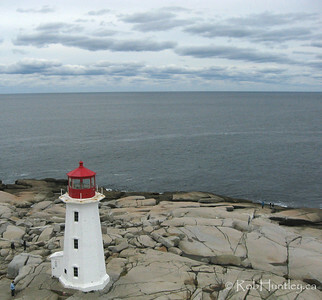 It was the community of Peggy's Cove that received the family and relatives of people who died aboard Swissair Flight 111 in 1998 and not far from the village is a memorial park and monument. 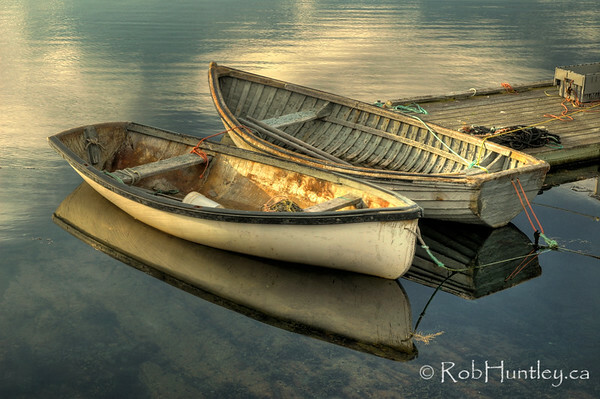 Several images in this gallery are HDR, combining three exposures into one. If your preference is for a non-HDR version of any of these images let me know and I will upload the single properly exposed one of the three. 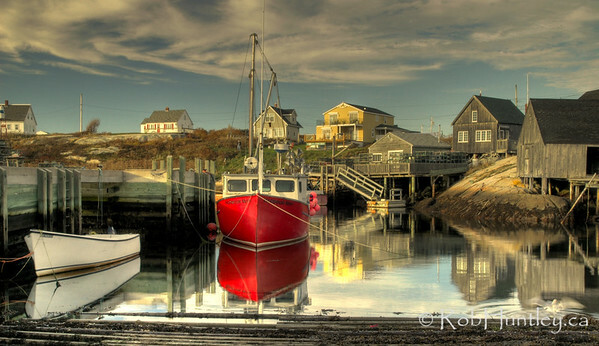 Red Boat at Peggy's Cove, Nova Scotia. 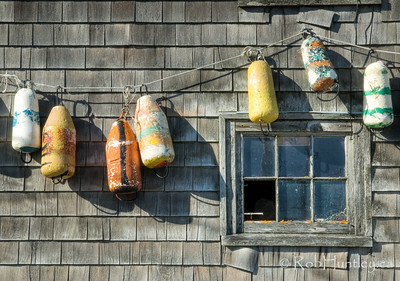 Buoys hanging on a wall. 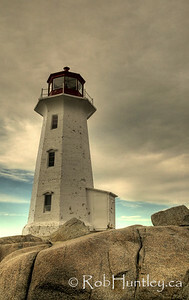 Peggy's Cove, NS. 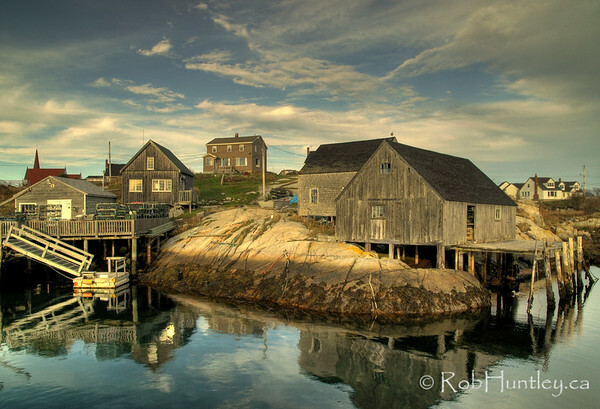 Boat wharves and sheds at Peggy's Cove, Nova Scotia. 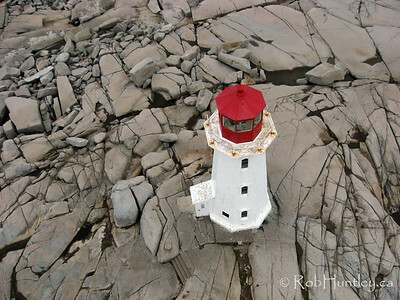 Aerial photograph of the lighthouse at Peggy's Cove, Nova Scotia, Canada. 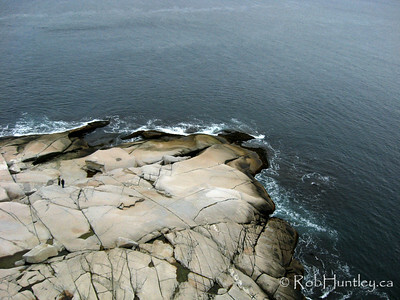 Aerial photograph of the rocky shoreline at Peggy's Cove. 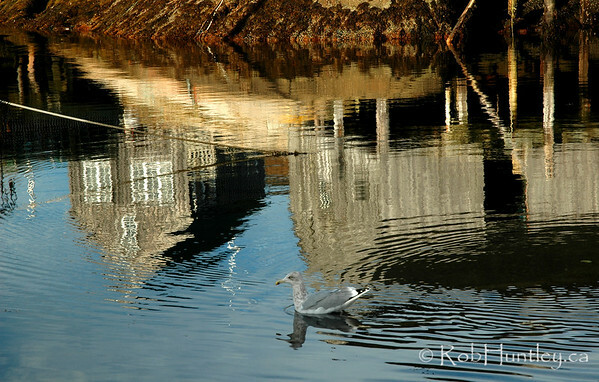 Gull and reflections at Peggy's Cove, Nova Scotia. 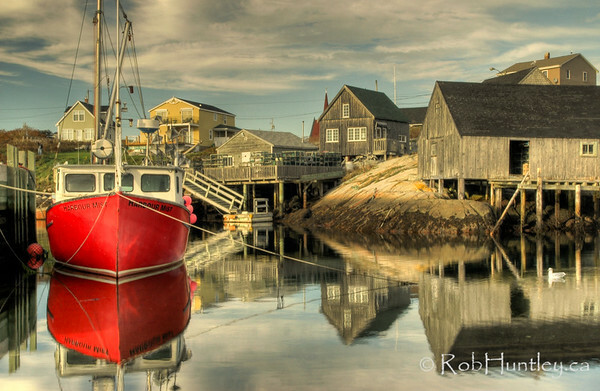 Red Boat at Peggy's Cove, Nova Scotia. HDR (High Dynamic Range) created from 3 exposures. 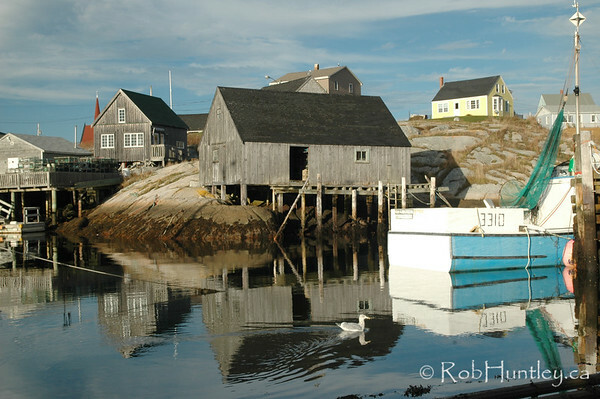 This card is developed from a photograph taken at the Harbour, Peggy's Cove, Nova Scotia. The main focus in the red boat at the left hand side of the picture. The sun was setting and the light was wonderful. 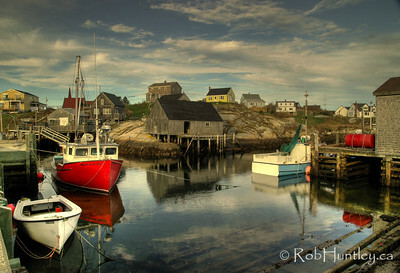 The image was created from three exposures combined through HDR processing (High Dynamic Range) to give it a more painterly feel. 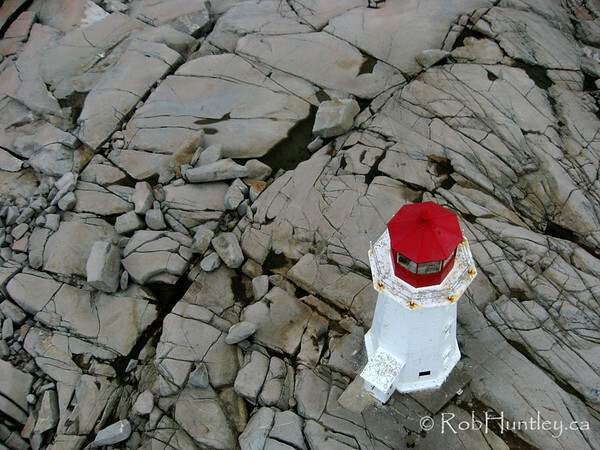 A Greeting Card with this image can be purchased directly from me at Rob's Photo Shop.